Fiamma F45Ti 3.5m / 11'8"x 8'2" awning with deep black case. Fiamma F45S 3.5m / 11'5"x 8'2" awning with Deep Black color case 55 lbs. 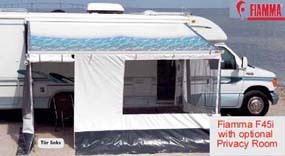 F45S awnings include wall brackets for mounting on flat walls for most Class C campers and straight wall trailers. 2001-2006 Sprinter with high roof can also use these included brackets. Optional brackets are available below for other applications. Also includes wall brackets for the awning legs. 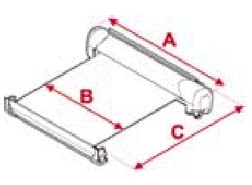 Awning size refers to overall width of case, canopy will be about 2" narrower. More shade and less weight with the Fiamma awning. 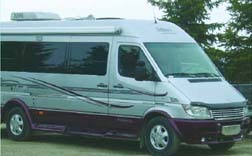 "Trust Fiamma, we invented the case awning for motorhomes and caravans. With the Fiamma awning you can double the living space of your vehicle in less than one minute. It offers a cool and covered open space outside and lowers temperature inside. The Fiamma awning allows you to keep windows and doors open for air circulation during rainy weather. Wet gear can be taken off outside in order to avoid bringing dirt inside the vehicle. Fiamma awnings are the most elegant, user friendly and trustworthy awnings on the market today." Perfect closing every time. 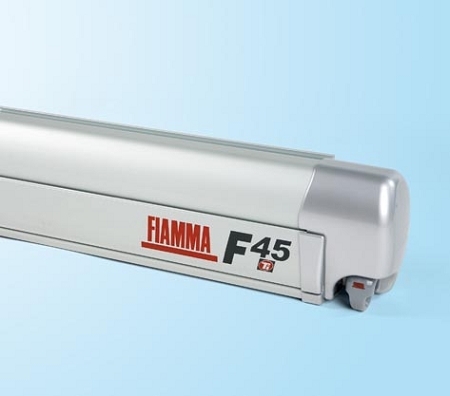 The Fiamma awnings are the only awnings with a new adjusting system that enables you to gauge the closing of the front bar if, over a period of time, one side should stop closing perfectly. Two year limited warranty. Warranty to the original owner. Awnings are made to order and are delivered usually within 2-3 weeks. Freight charges vary by state. Some addresses may incur an additional $50 "beyond area" surcharge. Canadian, Alaskan, and Hawaiian customers - please call or email for freight. Sorry, no overseas shipping available on this item.